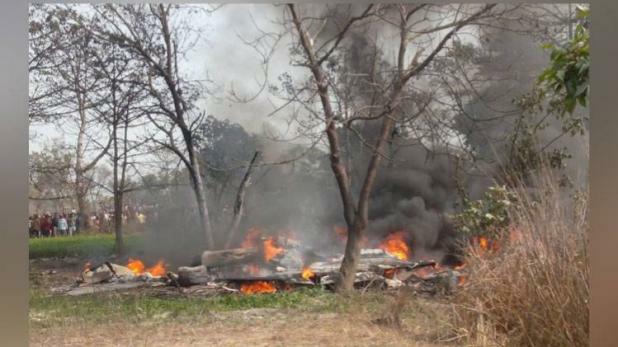 An Indian Air Force Jaguar fighter plane crashed in Kushinagar in Uttar Pradesh on Monday. Kushinagar: An Indian Air Force Jaguar fighter plane crashed in Kushinagar in Uttar Pradesh on Monday. Indian Air Force Jaguar fighter plane had taken off from the Gorakhpur Air Force base. The pilot managed to eject safely. The cause of the crash is yet to be ascertained.